All wheel & tire cleaner is designed to wash away filth with ease, leaving behind not only clean wheels, but clean tire sidewalls as well. 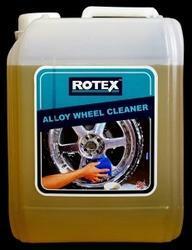 In order to meet excellent quality standards, we are supplying Alloy Wheel Cleaner. With enriched industrial experience, we have been able to offer a wide spectrum of Wheel Cleaner. 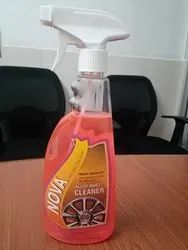 - Contains pH-neutral formula that is highly effective and fast working cleaner suitable for all steel and alloy wheels and wheel covers. From our wide consignment, we are affianced in supplying Alloy Wheel Cleaner. S & J Sales Co. Being a reputed company, we are instrumental in offering All Wheel Cleaner Spray 500ml to our most valued patrons. It is prepared by the accurate composition of the required and necessary elements. Moreover, it is available at the nominal rates. DOLPHIN WHEEL & RIM CLEANER is special and safe formula for alloying wheel rim to loosen and lifts caked-on brake dust, dirt & grime and surface stains. Makes the wheel & rim bright & shine.